The Division of Neurology is proud to lead the stroke service at NWH. Dr. Almozlino receives this honor having been nominated by his peers. Castle Connolly conducts an extensive survey of thousands of American doctors each year. Nominees medical educations, training, hospital appointments, reputation – and much more – are screened by the Castle Connolly physician-led research team. Those doctors who are among the very best in their specialties and in their communities are selected for inclusion. Newton-Wellesley Neurology is pleased to announce that Avraham Almozlino, MD and Marjorie Ross, MD have been named to Boston’s Top Doctors list for 2018. Dr. Almozlino previously received this honor in 2016 and 2017. 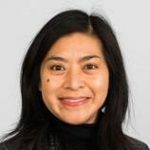 Newton-Wellesley Neurology Associates is pleased to welcome board certified neurologist, Jane Louie, MD. Dr. Louie joined the practice in the fall of 2018 after having served in the Framingham area for more than 10 years.